Shochu is a traditional Japanese spirit that has been drunk in Japan for centuries. Speculation has it that Shochu came from Japan from as far away as Persia. It is made using base ingredients such as sweet potato, wheat and barley that undergo a traditional single distillation process called Honkaku Shochu. This gives Shochu a distinct flavour that is highly dependent on the ingredients that were used to create it. 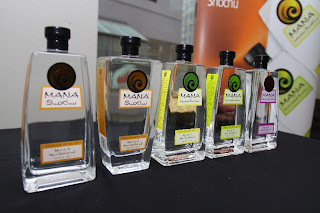 Mana Shochu is unique because it is a New Zealand take on the Japanese Shochu spirit. Mana Shochu uses only the finest Owairaka Red Kumara (sweet potato) from the peaty fields of the Ruawai Township in New Zealand’s North Island. However, Mana Shochu sticks to Japanese tradition when it comes to the way they distil their Shochu. They use the same single distillation process that captures the aroma and flavours of the primary ingredients. This allows the sweetness and earthiness of the Owairaka Red Kumara to show through in their wide range of Shochus. Mana Shochu is only one of a few foreign Shochu makers in the world and, as if that wasn’t unique enough, they are also one of a few to have created flavoured ‘new age’ Shochus. Choose from their selection of lemon, gold kiwifruit and casis (blackcurrant) Shochu. These still have the distinct flavour of their straight Owairaka Red Kumara Shochu, but with the added bonus of an extra fruity zing. Shochu is also the healthier alternative to other spirits and alcoholic beverages. Shochu has fewer impurities than other alcohols such as sake or whiskey. This means that there’s less chance of developing a hangover the next day! Shochu is also lower in calories, only containing 35 calories per 50ml compared to 120 for vodka and 80 for sake. This has made it popular among the diet conscious and women. So much so that in 2003 sales of Shochu outstripped that of sake and Shochu is fast becoming a common sight in the trendiest of bars from Shanghai to New York. The Miyazaki Medical College has conducted research showing that Shochu provides an enzyme that dissolves and inhibits the growth of blood clots. Shochu provided higher levels of this enzyme than the other spirits tested; twice more than red wine and 80 per cent more than sake. The Japanese centenarian Shigechiyo Izumi, who was verified as the oldest living man by the Guinness Book of Records, drank Shochu every night for the last fifty years of his life. With a great taste and many potential health benefits, there’s very little not to like about Shochu. 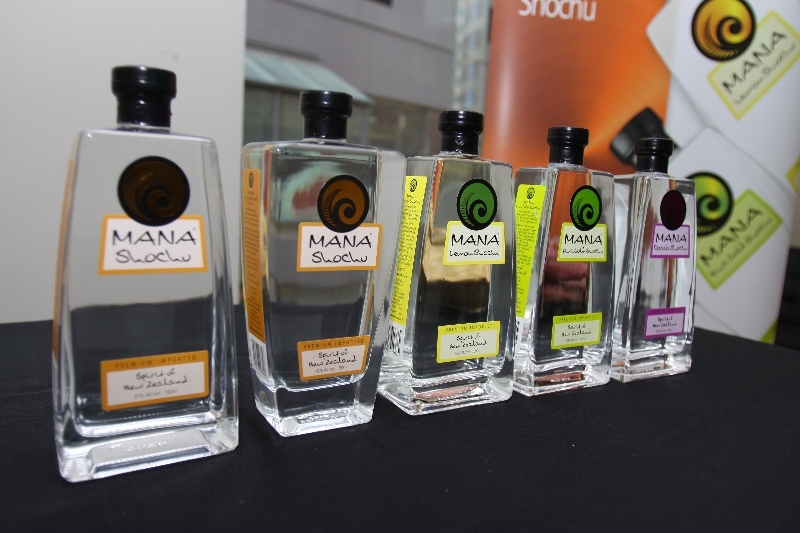 Try Mana Shochu’s Owairaka Red Kumara Shochu or any one of their new-fangled fruity flavoured Shochus!